As CBD grows in popularity, the ways to take this compound are also expanding. The methods to take CBD range from syrups to edibles to vapes, each with its own benefits. The simplest form of taking CBD is CBD Hemp Oil, which is a perfect way to start integrating this “miracle compound” into your daily regimen. Whatever your preferred method of taking CBD, it can benefit you in some way. Is CBD The Same As Marijuana? CBD is found in both Hemp and Marijuana plants. 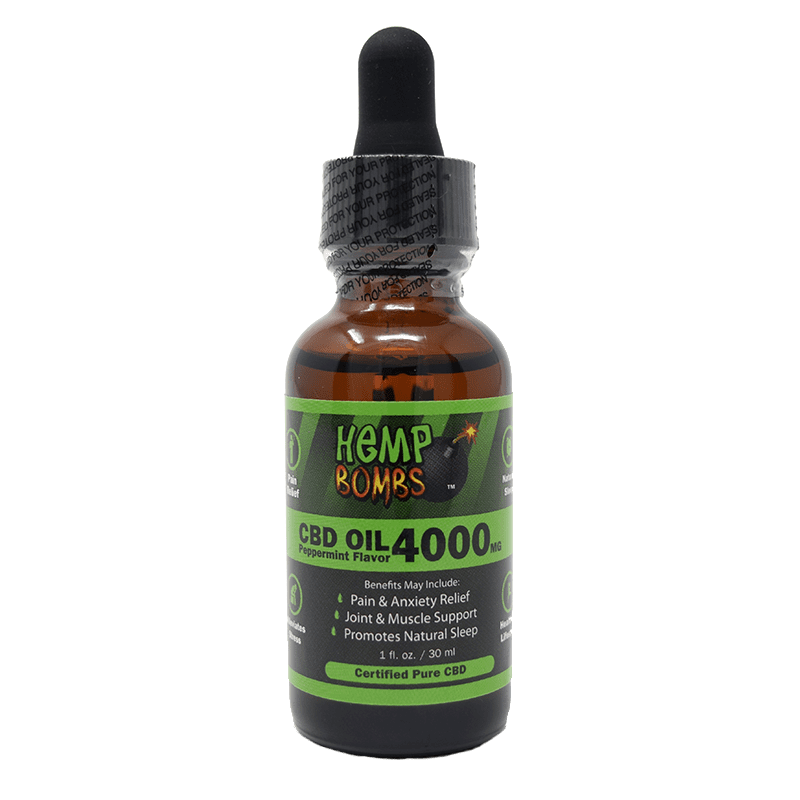 At Hemp Bombs, our CBD is extracted from organic-certified Industrial Hemp to make our CBD Hemp Oil. This is because Hemp is high in CBD but contains less than 0.3 percent THC (the compound that causes the “high” associated with Marijuana use). Marijuana plants contain a significantly higher level of THC (5-35 percent), and less CBD. Hemp-derived CBD is federally legal because contains only trace amounts of THC. Cannabinoids are a group of chemical molecules already present in the body due to the Endocannabinoid System. The ECS is a network of CB1 and CB2 receptors that bind to your body’s natural cannabinoids to aid in homeostasis, sleep and mood regulation, and immune system function. CB1 receptors are in the brain and spinal cord, while CB2 receptors are located in the peripheral nervous system and GI tract. These receptors allow CBD Hemp Oil to affect your body effectively. CBD does not bind directly with the receptors; rather it prompts the body to alter the cannabinoid levels resulting in reduced pain, enhanced mood, better sleep, and less stress. 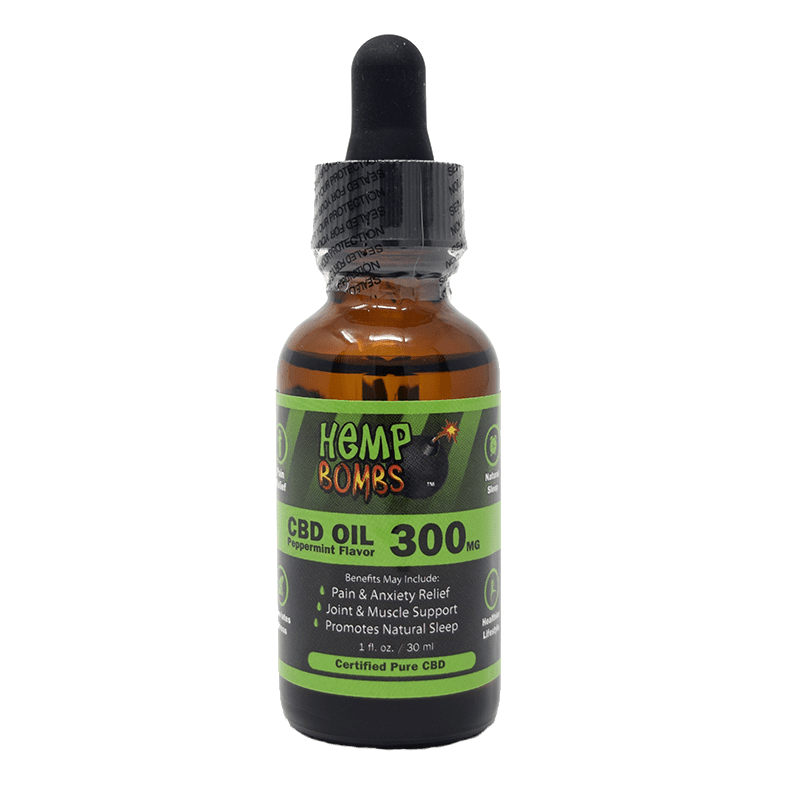 CBD Hemp Oil, or CBD Tincture, is a mixture of CBD isolate, MCT Oil, and Grape Seed Oil. As mentioned earlier, our CBD is extracted from Industrial Hemp and is 99 percent pure and ethically sourced. CBD Hemp Oil is taken sublingually, or under the tongue. The tissues present in this area allow for quicker absorption into the bloodstream. CBD Hemp Oil is THC-free, so it does not have any psychoactive effects and will not cause a failed drug test. This product may relieve inflammation-induced pain, and calm stress and anxiety. Regular CBD use can lead to reduced stress, mood enhancement, and overall relaxation. Additionally, CBD has been found to improve the symptoms of chronic pain, anxiety, depression, insomnia, skin conditions, and heart disease. CBD helps ease chronic pain by impacting your endocannabinoid receptor activity. It interacts with neurotransmitters to kill the overactive immune cells that are causing the inflammation. Scientific research found CBD to be effective in the treatment of sciatic nerve pain and inflammation in rats. Because of its anti-inflammatory properties, there is research suggesting CBD Hemp Oil may help ease arthritic symptoms. CBD Hemp Oil does not cure depression or any other condition, but there’s research suggesting that it may alleviate some symptoms of the condition. CBD Oil interacts with the ECS to regulate mood, appetite, and stress. A 2011 study found that taking 600 mg of CBD Hemp Oil before a public speaking situation caused a notable drop in anxiety, discomfort, and cognitive impairment. Our customers tell us that taking a dose of CBD Hemp Oil before bed helps them fall asleep and stay asleep. Sleep issues can often be a result of an underlying symptom like pain or stress. Therefore, by addressing these underlying symptoms, CBD can help those with insomnia or other troubles sleeping. The use of CBD to target the underlying causes of skin conditions like acne and eczema is being studied at a closer level. Acne is partially caused by inflammation and overstimulated sebaceous glands. As mentioned, CBD Hemp Oil can drastically reduce inflammation and the resulting redness and swelling, but CBD may also lower the production of the sebum that causes acne. Heart-related diseases are one of the leading causes of deaths in the U.S. Heart disease occurs when your blood vessels harden, resulting in low cardiovascular function. Because of the side effects associated with many pharmaceutical medications, many people are turning to CBD as a solution. The anti-inflammatory properties of CBD Hemp Oil reduce the amount of cell death that occurs due to inflammation and may lead to maintained strength of cardiovascular tissue. Since CBD works to reduce stress, it may lower blood pressure and minimize irregular heartbeat. CBD dosages are highly individualistic, as its effectiveness influenced by factors such as gender, weight, and diet. Generally, 15 to 30 milligrams is a good starting dose; however, you can increase the dosage as needed. It is ideal to increase your intake slowly until you find the amount that makes you feel your best. 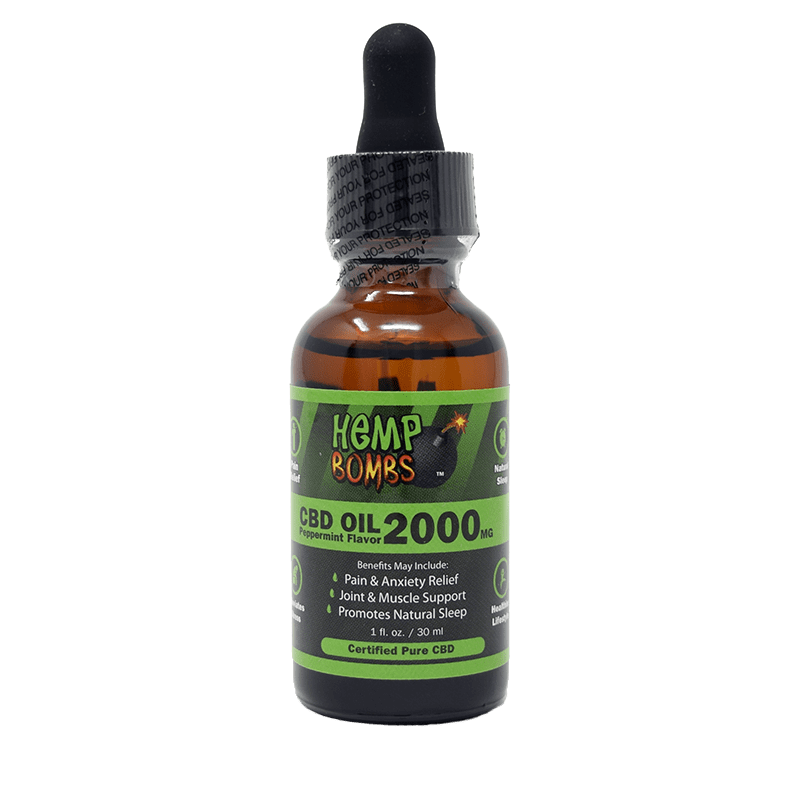 CBD Hemp Oil works best when used regularly and over time, so integrating this natural supplement into your daily regimen can have long-lasting effects. 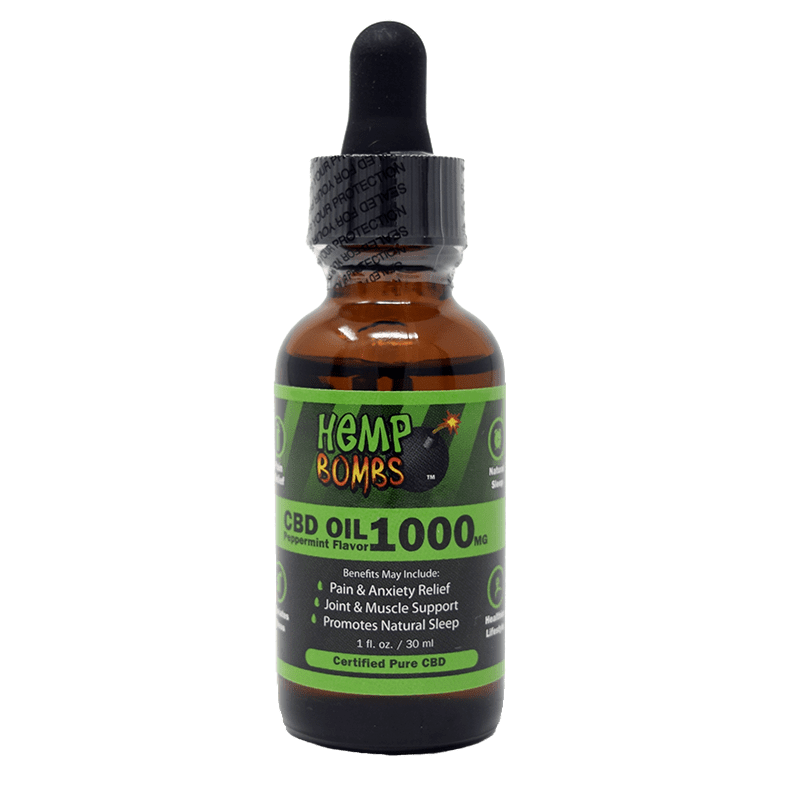 Hemp Bombs offers CBD Hemp Oil in potencies ranging from 300 mg to 4000 mg and two delicious flavors. There are so many ways to add this natural supplement to your daily life. Read for creative ways to use CBD Hemp Oil.